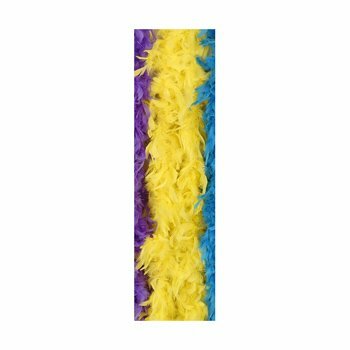 Medium weight chandelle boas are 2 yards (6 ft) long, and approx 5.5" in diameter. 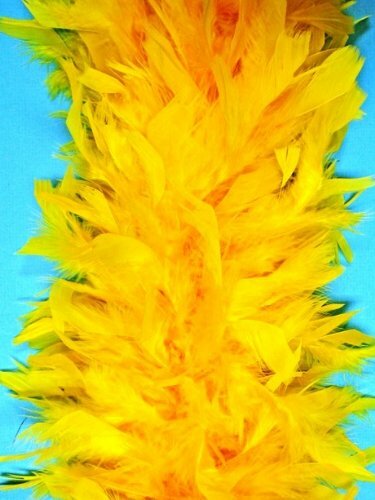 These fluffy boas are made from small turkey feathers called flats. 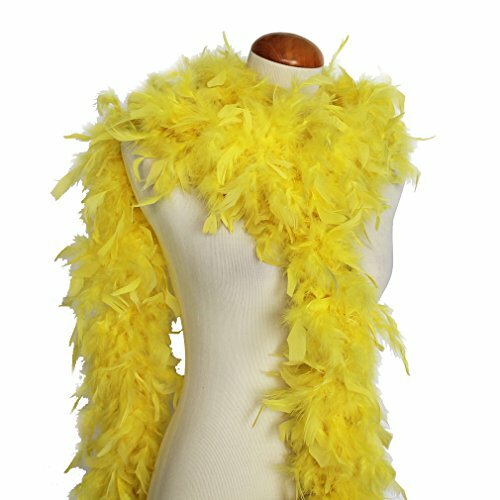 The medium weight boa gives you a fuller look without adding much additional cost. 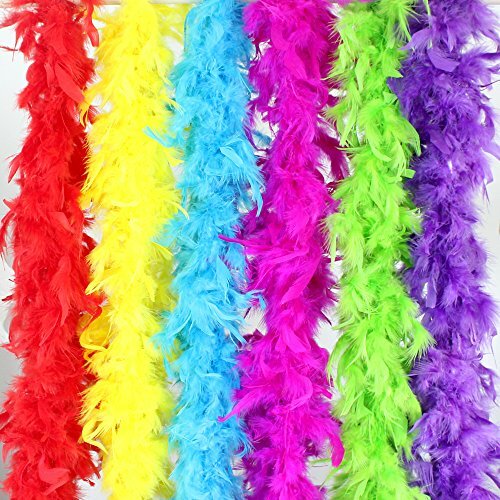 Our gorgeous boas are 6 feet long and come in many colors. 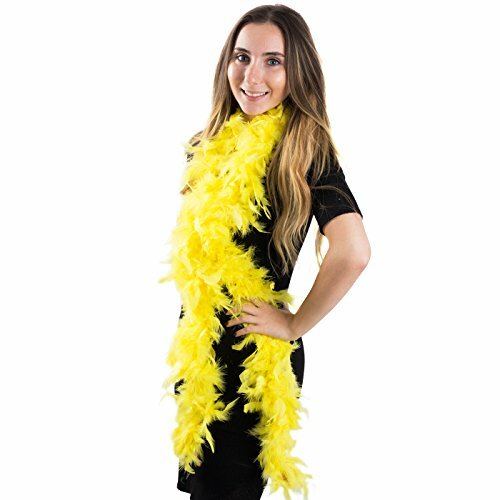 They add a nice touch of glam to everything and are great in decorating, picture taking, for parties, in sales booths, with dancing and cheering, for weddings, and anytime you just want to feel glamorous. 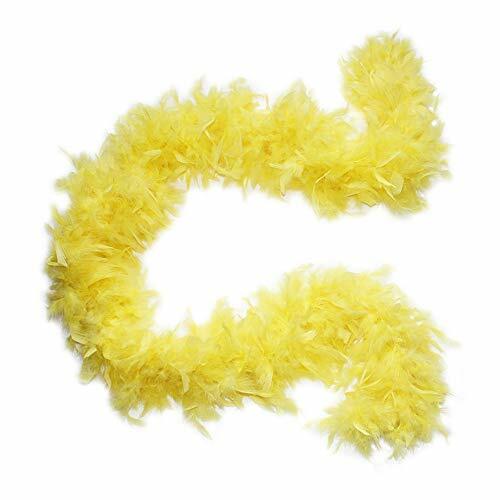 You can also cut them to the length you need. 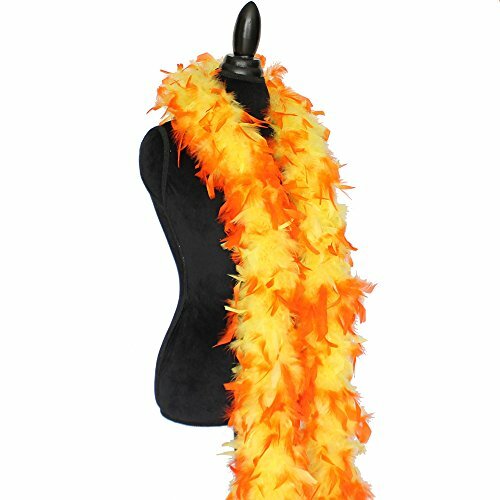 Once you receive your boas, open the package outdoors and shake softly. 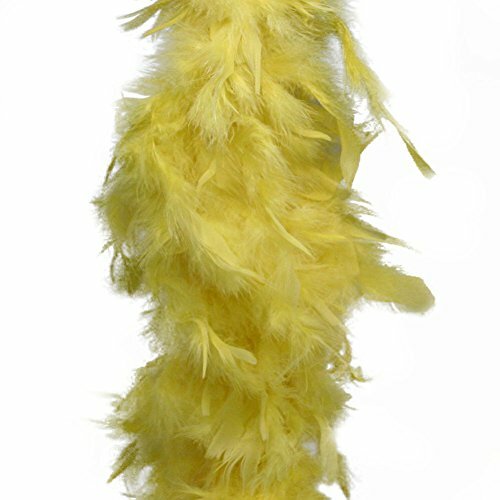 A few excess feathers will shake off but this will not affect the fullness of the boa. 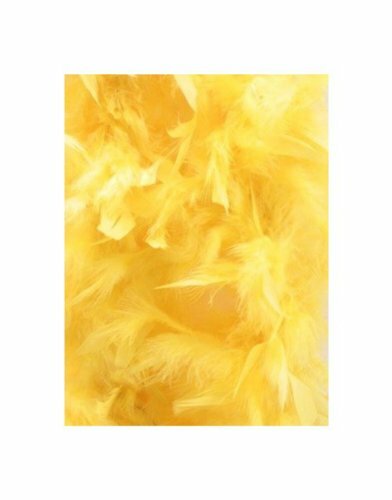 Shipping rates: 1st boa ships for $2.85 When ordering more than one boa, we discount the cost of shipping for the extra boas purchased from $2.85 to 85 cents each. 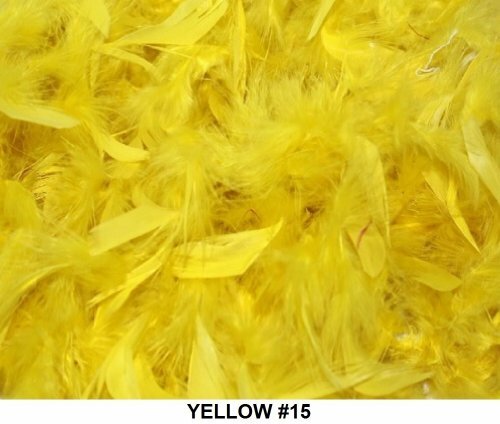 Every effort is made to show the exact color; however, colors may vary slightly from the picture due to different computer monitors/calibrations. 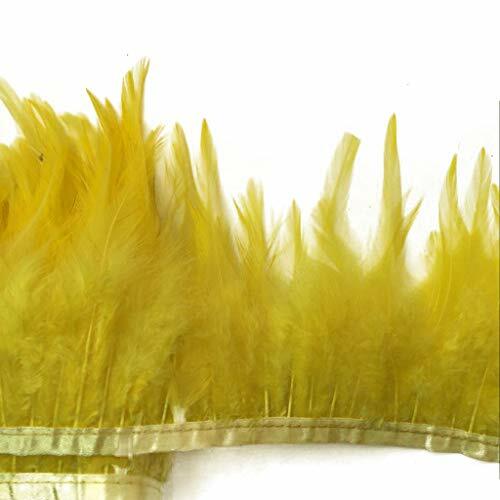 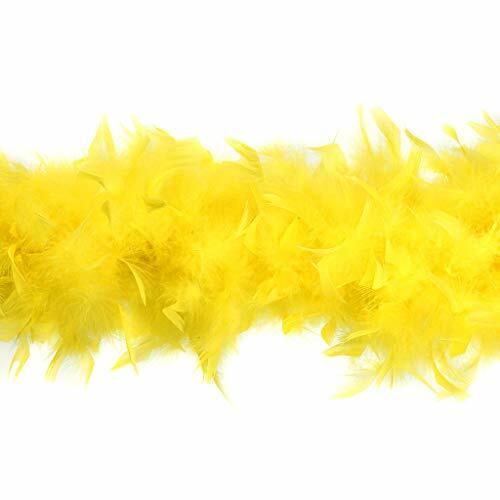 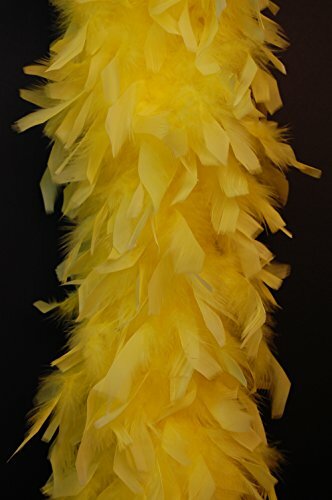 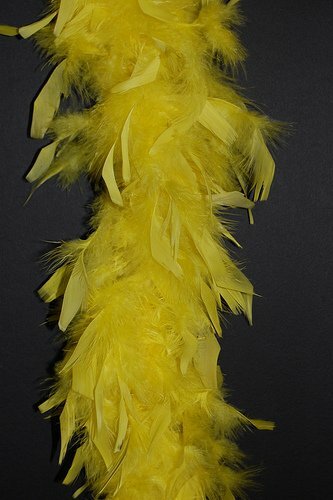 Children's feather boa perfect for Roaring Flapper 20's costumes.